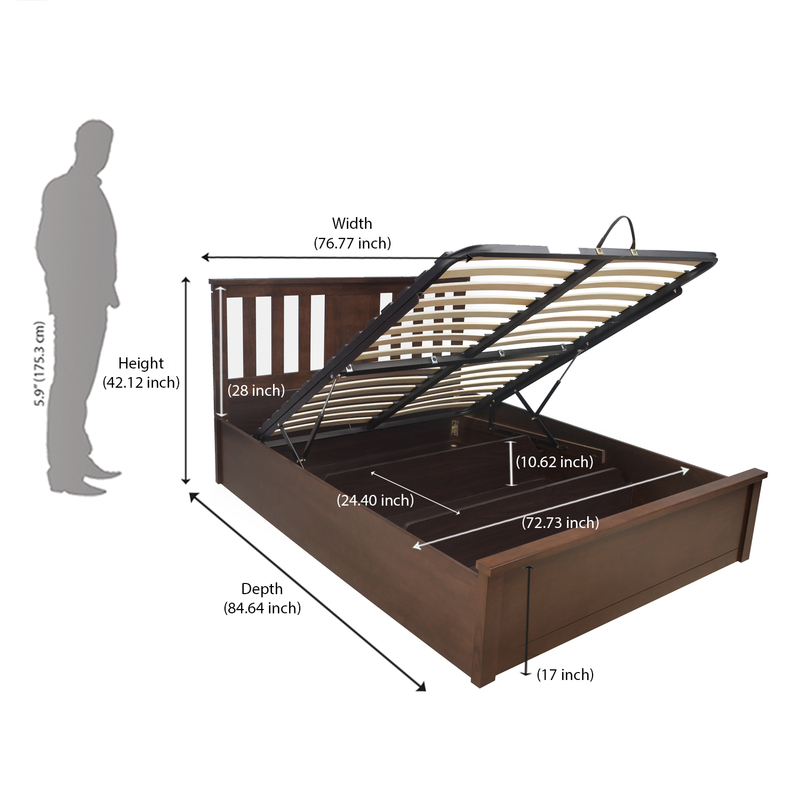 The sophisticated Montreal King Bed is built to offer the strength and stability you need for a pleasant night’s rest. The multi-purpose bedding made from high-quality, solid rubber wood and fitted with a padded headboard offers you the best comfort for a day of good lazy read. To top it all up, the additional hydraulic storage is a perfect addition to use as a storage space in smaller homes. Accent it with a generous number of cushy pillows, a soft comfortable mattress and you are all set to travel into your own wonder world.